Men are defined or judged based on three main things, namely their shoes, clothing and their hairstyle. As we all know, there are different hairstyles that men can choose. These haircuts differ in terms of hair length, cuts, design and fading layers, among others. Initially, there are two types of hairstyles a person can request, namely official and casual hairstyles. As the name suggests, an official haircut is designed for business meeting. The general appearance of a person determines if a meeting is going to be a success or will fail. Additionally, specific causal hairstyles suit specific events. Try out any of these hairstyle from this list of Mens Hairstyles 2019. Your hair size- As earlier stated; hairstyles vary in terms of hair length. There are those which require a person to have either an afro, medium or short hair. Carefully highlight haircuts that go hand in hand with your hair length. Which occasion are you planning for? – This is a must to ask question before choosing any hairstyle. Events are either casual or official. The level of expertise of your barber- Haircuts vary in terms of intensity. Some are easy and straightforward, whereas others are complicated and require an experienced barber. How to Take Care of Men’s Hair? Let us cross over and look at a few tips on how to take care of men’s hair before looking at the best hairstyles worth checking out. First, wrongly drying your hair causes severe damage. Men’s hair is sensitive when wet in that the cuticles and split ends are prone to damage. Simply shake off the excessive water and stroke your hair towards the direction it grows. Secondly, men should avoid very hot water. Hot water strips off the hair essential oils leading to dryness. Men should mostly use cold or warm water for their head. Moving on, some people handle chemical treatments on their own. This can be risky. Try your best to visit a stylish to handle this procedure for you. Using shampoo and conditioner is one of the numerous ways of taking care of your hair. The general wellness of a person is reflected in his hair. Therefore, men should take care of their health. 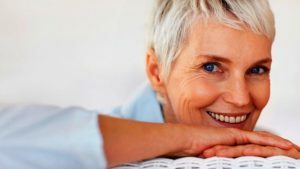 It can be through drinking plenty of water, exercising and getting enough sleep. Lastly, regular trimming eliminates the possibility of split ends. As the name suggests, the classic taper haircut slowly fades downwards. 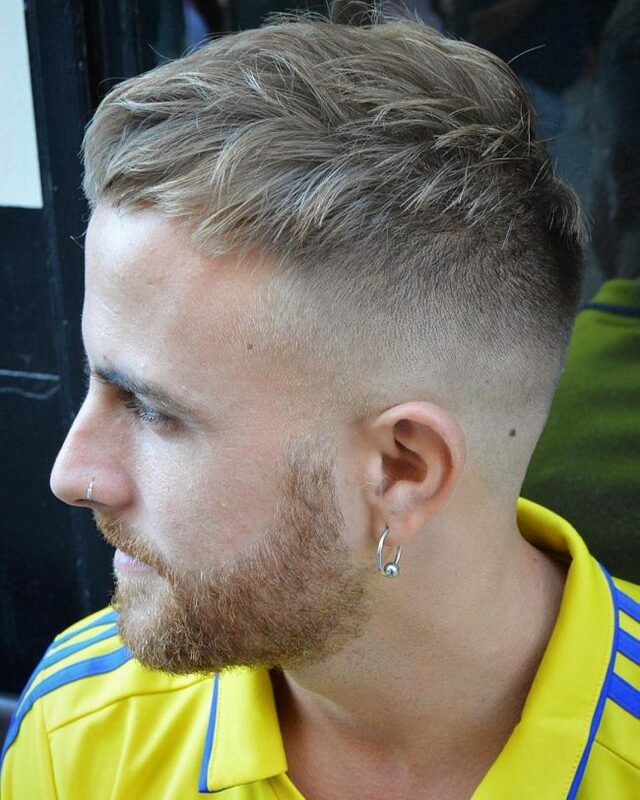 This hairstyle is ranked among the best hairstyles for men as it comprises two layers fade and a cut on the left side of the head, immediately after the middle hair. The classic taper haircut is considered both a casual and an official haircut. It is mostly characterized with the second fade layer stretching out to the beards and being almost even in terms of length. Lastly, the medium hair is medium in size and combed sideways. This haircut is definitely worth checking out. Do you love short hair with no cut on the forehead? If yes, the buzz cut is what you need. Basically, this hairstyle comprises of one equal layers spread throughout the head. However, it slowly fades off when approaching the beards. This hairstyle enables a person to come up show off his fringe hair when it starts growing big. The buzz cut is a well known official haircut that encourages men to keep their beards neat and short. Consider the buzz cut official look for your official needs. This is a topnotch casual medium hairstyle suitable for people with no beards and medium blown out hair. This design is characterized by the middle hair being combed backwards. There is a deep cut on the left side of the head before the fading out commences. Fading off hair commences in a descending order until some part of the bottom head become completely bald. In addition to all these, the undercut encourages cut on the edges of the hairline. Honestly speaking, who wouldn’t like this outstanding look? Shag haircut isn’t new to people with blond hair. As the name suggests, this is a casual hairstyle suitable for anyone with long blond hair. There is no systematic order in which a person combs his hairstyle. It is unevenly combed to bring out a shag look. Anyone choosing the shag haircut is encouraged to completely shave off his beards to bring out that shaggy look. This trend is considered a bit complicated. Therefore, it should be handled by a professional to bring out the best outlook. Are you into latest trends? If yes, you should check out the wavy haircut. It incorporate medium to long hair and beards. This haircut is suitable for men with soft hair as it entails combing the hair upwards and sideways. Soft hair has proven easy to achieve this style. This hairstyle gives a person a lot of combing option for their fringe hair. The wavy haircut unevenly fades until it reaches the beards. That’s not all; this style encourages people to keep moustache. It is definitely worth checking out. This is an official hairstyle that has been trending for many years. It is characterized by hair being evenly distributed throughout the head. It is suitable for people who would like to keep both their hair and beards short and simple. Consequently, it perfectly suites men don’t like cut on the hairline of their forehead. The butch cut offers a great opportunity to people who would like to systematically grow their fringe hair. Above all, this is one of the few hairstyles can be incorporated in any type of hair. Ever dreamt of a curly hairstyle that gives you an opportunity to display your fringe hair? Well, this haircut is what you need. The curly haircut gives out a curly look on the middle of the head. Hair in this region is above the medium length and is combed towards the forehead. You don’t need beard to incorporate this look. Generally, this hair trend comprises of two main layers. The style has a lot of middle head hair, which drastically fades to form the second layer. High and tight hairstyle is a short hair design that gives men a fade wavy curly hair. It is considered an official hairstyle keeping in mind it is a short hair style. This hairstyle mostly comprises of two different layers. It is considered a fade away hairstyle. A barber should make your hair curl before evenly trimming the top hair. Afterwards, fading commences until it almost disappears when approaching the ear. The high and tight haircut is suitable for anyone in that it doesn’t encourage beards. As the name suggests, this is a Medium Mohawk haircut. A person must have long medium hair for his barber to incorporate this hairstyle. The Mohawk haircut also encourages people to keep beard. A person’s medium hair should be blown out to make it easy to comb straight. It is evident this is a casual hairstyle that gives a person the opportunity to grow fringe hair. The hair is trimmed very low and eventually fades when it approaches the beard. The hair and the beard are not linked because of baldness in the third fade layer. The hairstyle has been ranked among the best hairstyles for many years. It is a medium haircut suitable for people with soft hair that can be combed in different directions. The fringe hair is mostly combed backwards. The side part haircut perfectly suits any event whether casual or official. In addition to all these, the barber won’t place any cut in the edges of your hairline. The side hair slowly fades in a descending order. Lastly, people with no beard can incorporate this hairstyle. Ponytail hairstyle is rated among the best hairstyles of all times because of how a person folds his hair on the back. You need a very long hair spread across the head to adopt the ponytail hairstyle. Additionally, the developers of this hairstyle encourage men to keep a moustache that connects to the beards. This hairstyle perfectly suits people with soft hair as it easy to comb backwards. That’s not all; the beard and hair connect. Lastly, consult an experienced barber before incorporating this hairstyle. As the name suggests, this is a fade away haircut style. It is characterized with medium sized curly hair in the middle of the head, which eventually starts fading. Moreover, a barber creates two fade layers. The fade haircut consists of a cut on the forehead’s hairline and extends sideways. This trait gives a person a spectacular look. Do you love beard? If yes, consider this haircut as it gives you the opportunity to display your beard. Your barber should carefully trim them and make them evenly distributed. This is one of the highly ranked casual haircuts worth checking out. It gives men a unique killer attractive look. This hairstyle comprises of two hair lengths. The middle head hair is medium in size. It must be blown out to make it easy for a barber to come up with spikes in the middle of the head. Afterwards, the side hair is trimmed in equal lengths on both sides of the head. The spiky haircut is characterized with low leveled beard to make the hair more noticeable. There is no one in the society who hasn’t come across men with this hairstyle. The African American hairstyle is considered both an official and a casual haircut. It has been ranked among the best haircuts for two main reasons. First, the hair is perfectly trimmed as it fades downwards. Consequently, the hairline is given a cut to give it a spectacular look. The cut systematically extends sideways. Additionally, the beard doesn’t connect with the hair. Instead, it forms from the moustache and spreads down the chin. Who hasn’t seen this spectacular hairstyle? The dreadlocks hairstyle is a bit complicated in that a person must grow his hair for many years to achieve it. This is one of the few hairstyles that can be incorporated by both men and women. You must grow your hair to the described length before visiting a barber for the dreadlocks set process. This process is diverse in that there are numerous designs you can choose from depending on your desired outcome of this hairstyle. It is definitely worth checking out. The Faux Hawk haircut comprises of two hair layers. The first layer is around the middle of the head. Here, the hair is blown out to enable the barber to comb it both sides to give it a Mohawk look. Afterwards, the hair is evenly trimmed low on both sides. Faux Hawk haircut perfectly suits those who don’t like beards. Lastly, it gives people with soft hair an opportunity to grow fringe hair as there is not cut on the hairline on the forehead. Are you still looking for a modern casual haircut? Well, look no more. The pompadour hairstyle is what you have been looking for. This hairstyle is characterized with medium length blown out hair on the middle of the head. Pompadour is considered a type of fade out taper hairstyle. There is a cut immediately after the middle hair on the right side of the head. Thereafter, the hair fades and eventually fades. There will be a cut on both the forehead and the sides. Lastly, this hairstyle also encourages men to grow beards. There are very few men in the society who keep log hair. The cornrows hairstyle is designed for men who have long hair and would like them plaited. Acquiring this hairstyle isn’t simple as it looks. You need to contact an experienced barber who can plait your hair and make you look good and feel comfortable. This hairstyle suits men who don’t intend on visiting a barber shop in a while. In conclusion, this hairstyle has been rated a top notch hairstyle for many years. It is definitely worth checking out. This is a simple official hairstyle that can be adopted by any man regardless of his hair type. It focuses on making both the hair and the beards short. It doesn’t encourage cut on the hairline edges throughout the head. 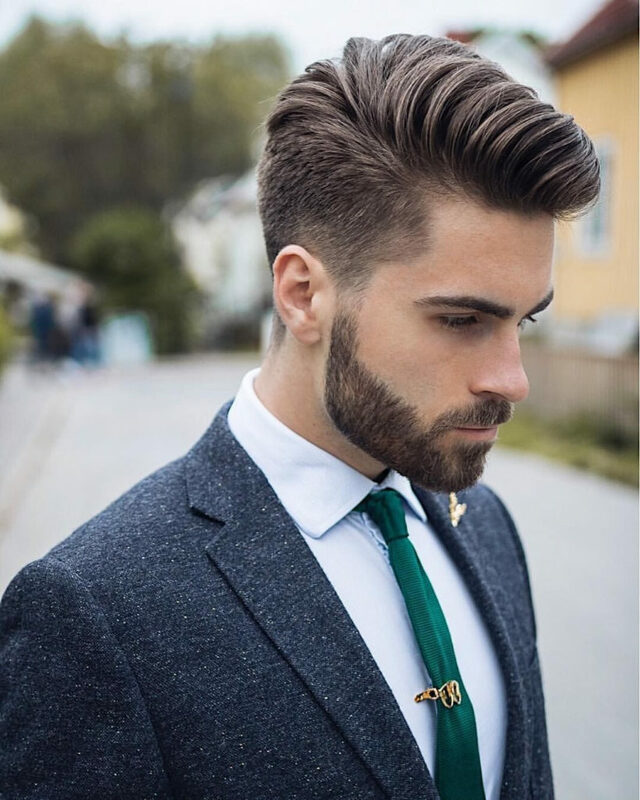 This is a unique hairstyle as it links the hair and the beard regardless of their short length. The burr cut is a simple procedure in that most barbers can achieve this hairstyle. Numerous people love this hairstyle as it is simple and easy to maintain when compared to complicate haircuts. You need a long hair length to attain the mullet haircut. The mullet haircut is characterized by numerous fringe hair combed forward and held by a band on the forehead. That’s not all; some hair is also combed backwards. Hair must be blown out before the barber begins handing any task. This is a unique casual hairstyle and has been incorporated by numerous people including celebrities. Mullet haircut focuses on the outlook of your hair as it doesn’t encourage growth of beard. Don’t be left out, try out this hairstyle. As the name suggests, you need a long hair length to be eligible for this haircut. Additionally, a person should have a blond and soft hair as this style entails combing hair sideways. Mostly, the hair is combed on the left side on the head in an ascending order. The long hairstyle also encourages a person to keep an average beard length, which is evenly trimmed. The beard also includes a moustache. In conclusion, this hairstyle managed to scope the best long hairstyle in 2017. This short hairstyle definitely deserves to be ranked among the best haircuts for men. It is considered a simple hairstyle as it is categorized with two fading layers. The first layer is the middle head hair. It stretches and somewhat extends to form the fringe hair. This is an indication that it doesn’t have cut on the forehead’s hairline edge. The second fading layer commences immediately and stretches until it completely fades away. Afterwards, properly trimmed beard follow and spread to give a person a spectacular look. Tousled haircut has been spotted numerous times in the fashion industry. You need to blow out your hair to achieve this top notch hairstyle. In addition to this, you must have a middle sized hair. Your barber will come up with two almost similar fading layers. This is the middle and side hair. A cut is also incorporated in this hairstyle on the left side of the head. Tousled haircut suits people who don’t plan on keeping beard at all. Lastly, this hairstyle can be custom designed for both casual and official events. Some people hate fade hairstyles which give out baldness in whichever part of their head. Such people should consider the medium haircut style. As the name suggests, this is a medium haircut that doesn’t consist of any baldness on either the head or beard. The middle hair is a bit long to the point it can be combed either sideways or backwards. Thereafter, the second fade layer follows .It is unique in that the hair in the second region is systematically trimmed before connecting to conjoin with the beard. This hairstyle is definitely worth checking out. This is a skin fade casual hairstyle characterized by a fringe swept on the side. Initially, a person will have hair on his middle head, whereas the other part of the head goes bald. There is a deep cut immediately after the middle hair on the right side of before going bald. A well designed and medium length beard is encouraged in this hairstyle. The moustache gets conjoint with the rest of the beard to give a person a spectacular look. As the name suggests, this is a straightforward hairstyle that focuses on the outlook of the head. You don’t need beards to adopt this hairstyle. A person must have a lengthy sized middle blown out hair to be eligible for this hairstyle. The middle hair is combed towards the left. This also applies to the fringe hair. Afterwards, a medium fading layer follows and stretches to the rest of the head. The straight haircut is considered both an official and a casual hairstyle. This is one of the numerous reasons you should consider this top notch hairstyle. The slicked back haircut is suited for people with blonde hair. This hairstyle is characterized by the medium sized blond hair being combed backwards. People consider this a unique top notch hairstyle as it has a cut when approaching the side hair on the left side of the hair. Thereafter, the hair is combed downwards. The hair systematically stretches until it connects with the beard. The beard in this hairstyle is completely trimmed to give it a neat look. Check out this haircut today and acquire a spectacular look. 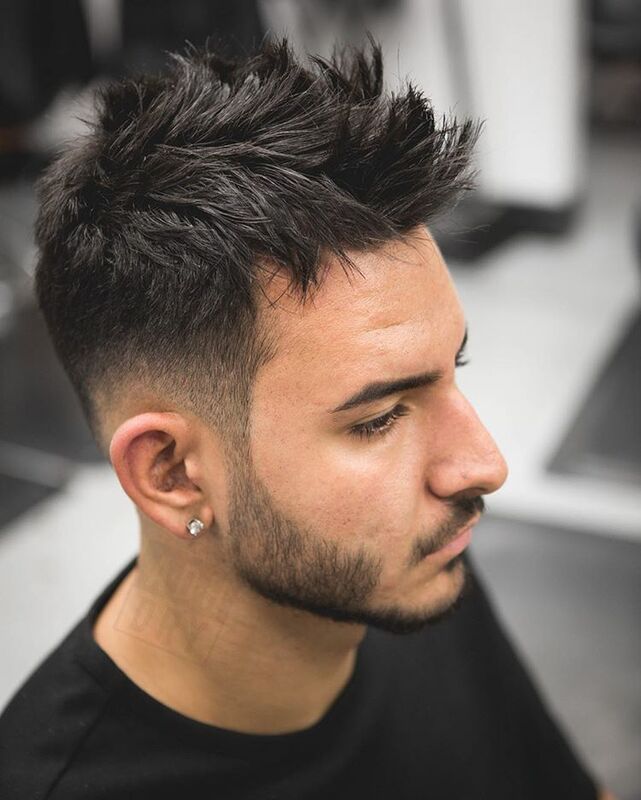 This is a highly rated haircut that gives men the opportunity to display both their beard and two layers of hair length. First, your middle sized hair must be blown out to enable the barber to style up different designs. Disconnected haircut emphasizes neatly combing backwards the middle hair until it piles up on each other. Afterwards, there is a small cut that paves way for the second layer of hair length. The second layer slowly fades off in a descending order until it completely fades away after which the beard pops up in an ascending order going downwards. This is a classical pompadour Hairstyle designed for blonde hair. Vertical haircut emphasizes on fringe hair that is combed on the right side of the head. Therefore, no cut is included on any hairline edge. You need a significant amount of hair to adopt this hairstyle. The middle hair is bigger when compared to side way hair. The middle hair should be blown out to make it easy for the barber to comb it sideways. The hair should connect with the slow faded beard. Are you looking for a killer hairstyle for your medium length hair? If yes, glance at this haircut. This is one of the modern hairstyles for men. The middle hair must be flown out to be combed straight and make it easy for them to conjoin. The sideways of the head must be shaved and remain low. There must be significant difference between the two layers of hair across the head. In addition to all these, you can incorporate beard and a moustache to spice up your look. There are numerous complaints from people with thick soft hair in that there have limited hairstyles. Well, carefully look at this quality haircut that everyone is talking about. It is a fade away haircut signified by a lot of middle away that significantly reduces going downwards. Quiff haircut gives men the opportunity to show off their fringe hair. Therefore, it is not linked with any form of cut. People are encouraged to keep their beard as short as possible to make people focus more on their hair. Fringe hair gives people a unique and spectacular look. There are numerous people out there who don’t like cut on their forehead. Well, the fringe haircut is what your need. As the name suggests, you should have a lengthy fringe hair to qualify for this haircut. This is a very diverse hairstyle in that you can comb your fringe hair in different directions. You don’t need beard to incorporate this hairstyle. This presents a perfect opportunity for a person to show off his lengthy fringe hair. Messy haircut is designed for casual effects or wear. You need a very experienced barber to help you achieve this superb hairstyle. A barber must perform blow out on your entire hair to easily give it a messy look. This hairstyle is considered a top notch challenging hairstyle as it fades in a very systematic way that only experienced barbers can handle. In addition, the beard is shed off to make people focus on the messy hair. Consider the messy haircut today if you would like to look modern. The comb over haircut focuses on combing your hair rather than trimming. You need a middle length hair length for your barber to be able to incorporate this hairstyle in your head. Your barber will place a cut from the right edge of your forehead inwards. The cut acts a boundary when combing your hair. The upper side of the cut is combed sideways towards right side of the head. On the other hand, the lower side of the cut is combed downwards. Lastly, you must have beard that connects with the hair. The disconnected pompadour hairstyle gives people an idea that there should be plenty of hair on the middle of the head and short hair on the sides. This is what has made this hairstyle famous among people with lengthy blonde hair. This hairstyle is designed for blonde hair as it easy to comb into different designs. There is always a cut immediately after the middle hair that lays the platform for the fading of side hair. Lastly, the disconnected pompadour hairstyle can be adapted by both men with or without beards. Do you desire a blond look on your hair? If yes, check out the Caesar cut. Your barber should kick off by blow out to make it easy to comb your middle head forward. Afterwards, he will apply dye to give your hair a blonde look. Afterwards, your barber will trim very short the remaining hair going downwards. That’s not all; beard will be evenly trimmed and connects to the moustache. Caesar cut can be used for both casual and official events. It is definitely worth trying out. This is a curly weave fade Mohawk hairstyle that encourages a person to keep short hair. This haircut adopts the traditional Mohawk design apart from a few changes. As always, the curly middle short hair is trimmed to achieve the Mohawk look. Thereafter, the hair starts fading sideways. The Mohawk fade hairstyle is very unique in that it uses cut to give a very outstanding look. This cut commences from the forehead and conjoins the hair to the beard. The beard is neatly trimmed when compared to other Mohawk designs. Some people find fringe hair cumbersome at time times. Well, the swept back hair hairstyle is designed to address this problem. This is a simple hairstyle that requires your fringe hair to be combed backwards. You can incorporate blow out to make it easy for your hair to remain steady when being combed. The swept back hair also encourages a systematic hair fade going sideways. Lastly, People are encouraged to shave off their hair if they would like to achieve the maximum look out of this hairstyle. The Ivy League cut is very common for people who desire short hair and prefer shaving off their beard. This is considered both an official and casual haircut as it perfectly blends in with any occasion. Additionally, the barber shouldn’t incorporate any cut on the edges of the hairline throughout the hair. The hair level in this style is systematic throughout the head. Ivy League cut lays down the platform for people who desire fringe hair at some point in life. This is another official haircut for men, which has been dominating for years. It is characterized with the same hair length throughout the head. Afterwards, the hair conjoins with fading beard. The crew cut hairstyle isn’t categorized with any form of cut throughout the head. People who have adopted this hairstyle find it easy to manage and trim when compared to other hairstyles. In addition to all these, the crew cut can be easily customized to other hairstyles. Consider this short haircut and blend in any event. The bun hairstyle is only suitable for people with long medium head hair that extends backwards. The middle head hair can undergo blow out to make it easy to comb backwards to form a pony tail. Some people dye the pony tail to appear blonde. Thereafter, a cut extends on the left side of the head. This forms the layer for fading hair that stretches downwards. Consequently, this fading layer conjoins with the beard that extends to form a moustache. As the name suggests, this hairstyle aims to give a person a blonde look. Consequently, it is perfectly suits people with soft hair can be customized into different designs. You can blow out your hair to make it soft. This hairstyle comprises of two main hair length layers, namely the middle head hair and the short side way hair. The blonde hairstyle enables a person to design his fringe hair in numerous ways. You are encouraged to completely shave off your beards to achieve the maximum lookout of this haircut. Do you have a log hair and well spread beard? If yes, you should check out this top notch hairstyle. You barber will start off by dying some part of your middle hair blonde. Afterwards, he will form a pony tail facing upwards in the middle of the head. Consequently, your barber should let some of your fringe hair flow forward. That’s not all; you will receive a cut that stretches inside the right side of the head immediately after the middle hair. Lastly, your barber should come up with a fading layer that connects with the beard. As the name suggests, this hairstyle is dedicated for older men in the society. It is a medium hairstyle that encourages the elderly in the society to grow beard. The middle head hair is combed sideways heading right, whereas others are combed backwards. This hairstyle for older men advocates for conjoining of both beards and hair. Moreover, it doesn’t advocate for any cut on any hairline edges. This hairstyle is considered an official outlook in that it can perfectly blend in any event. Emo haircut is common among rock stars. It is characterized by long hair that is unevenly distributed throughout the head. This top notch hairstyle doesn’t advocate beards. It encourages people to completely shave off their beard. Any barber familiar with this hairstyle will start off by trimming fringe hair to improve vision. Emo haircut is one of the few haircuts that give a person a wide range of options to design his hair. Lastly, this haircut can be enhanced with a blonde color to make it more attractive. You don’t qualify for this highly ranked hair style if you don’t have a well formed beard. Consequently, you also need a moustache. This hairstyle has two main hair length layers. The middle hair is middle sized and is combed backwards. That’s not all; you must have lengthy fringe hair to reap maximum benefit from this hairstyle. The second hair length is shaved until it becomes short. Beard in this haircut is systematically trimmed to give it a unique look throughout the chin. Temple fade haircut is short hairstyle that requires a person to have short hair and a significant amount of beard. As the name suggests, this hairstyle systematically reduces the size of the hair as it descends. Fading continues until it conjoins with the beard. People are encouraged to acquire cut throughout hairline edges to give it a spectacular look. The temple fade haircut can be described as an official hairstyle. Consider this hairstyle as numerous barbers are familiar with it and is easy to maintain. Do you love olden hairstyle trends? If yes, you should consider the classic haircut. Classical haircuts mostly got rid of beard. This hairstyle doesn’t omit this trend. Men are encouraged to completely shave off their beard. Classic haircut is designed for men with blonde hair. The middle hair is combed towards the right. There is a cut that extends deep to the middle hair on the right side of the head. Afterwards, any hair that follows the cut on the left side of the head is combed downwards. It is definitely worth checking out. As the name suggests, your barber must apply highlight on your middle head long sized hair. In addition to this, your hair must be soft enough to enable different designs. Afterwards, the highlighted hair should be combed backwards. Moving on, your barber should systematically trim your hair to form the second fading layer. This layer must have similar length with that of the beard. The hairline on the edge of the head undergo cut to give this style a spectacular look. Hairstyle trends emerge now and then. Well, this is another modern haircut worth checking out. It is a casual look based on the fact that it presents a shaggy look. Modern hairstyle is considered a medium fade hairstyle keeping in mind it comprises two layers of hair length. The hair in the middle of the head is quite big and given a shaggy look while being combed backwards. The beard in this haircut is carefully trimmed and shaped to give it a neat look. Check out this hairstyle. These were some of the top notch hairstyles for men worth checking out.